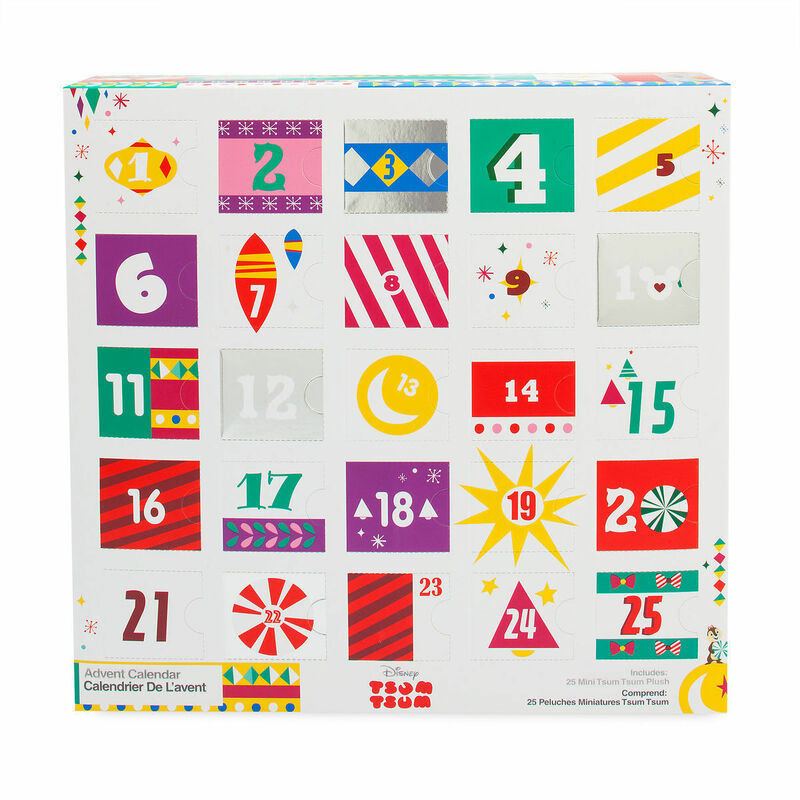 The 2018 Tsum Tsum Advent Calendar is now available online at shopDisney.com! 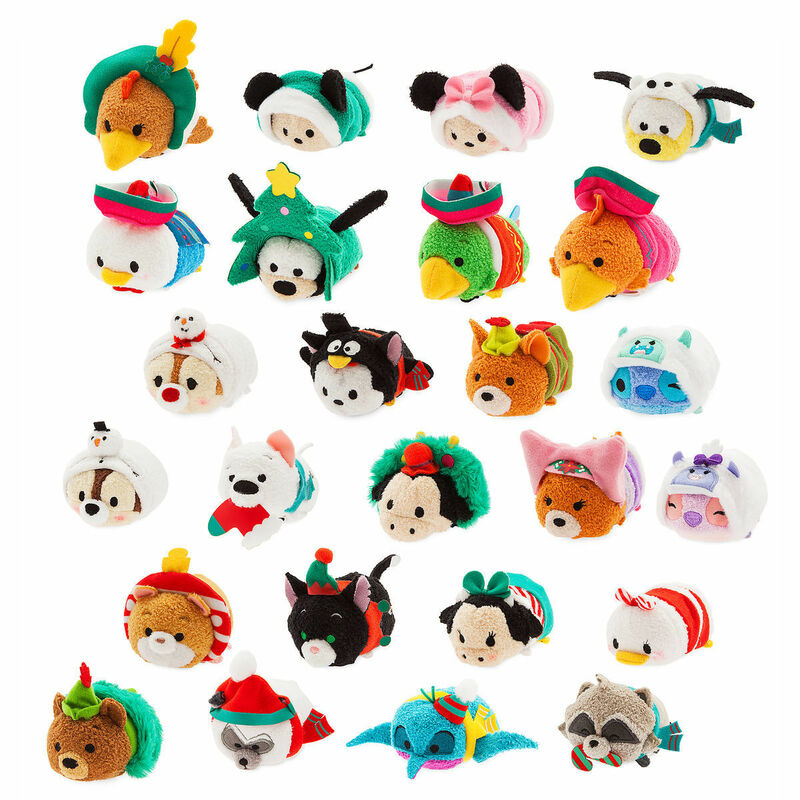 The box set includes 25 mini Tsum Tsums, one for each day of the month for December until the 25th! 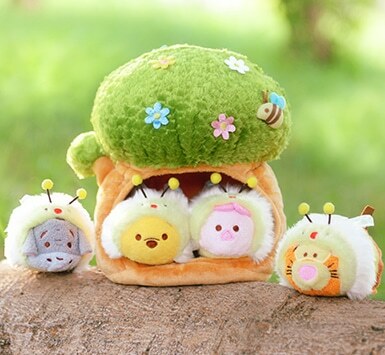 The set retails for $129.95. To see a preview of all 25 festive characters, click here! 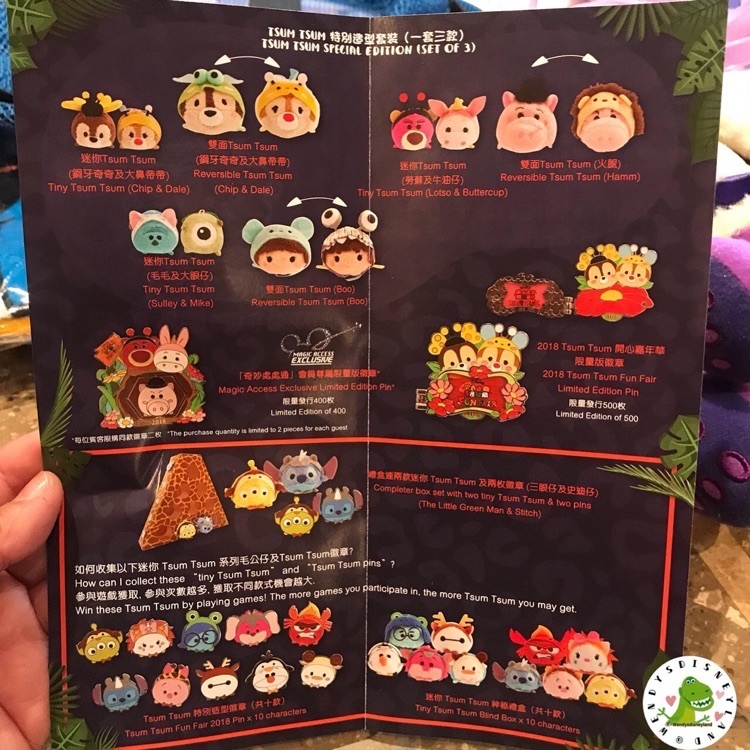 Here’s a better look at some of the exclusive Tsum Tsum merchandise available for sale and as prizes at the Tsum Tsum Fun Fair happening at Hong Kong Disneyland. For more details read our post about the event here. 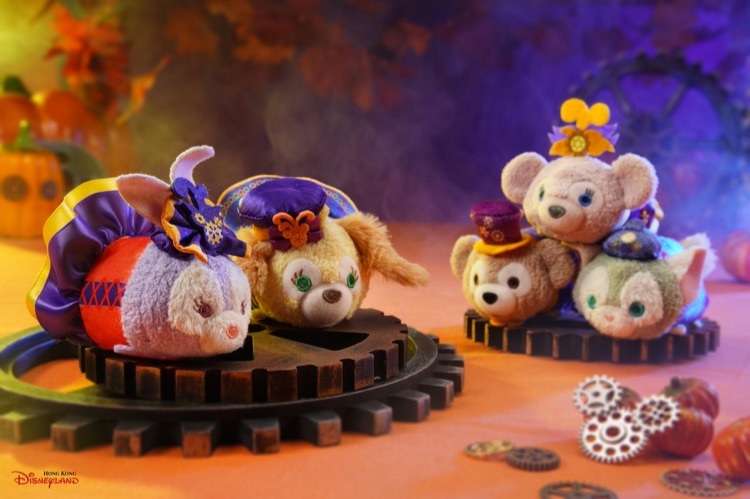 The reversible Disney Villains Tsum Tsum set that released in Europe two months ago is now available online in the U.S. at shopDisney! The collection includes Jack Skellington (Pumpkin King), Maleficent (Maleficent as Dragon), Jafar (Jafar as Genie), and The Old Hag (The Evil Queen). 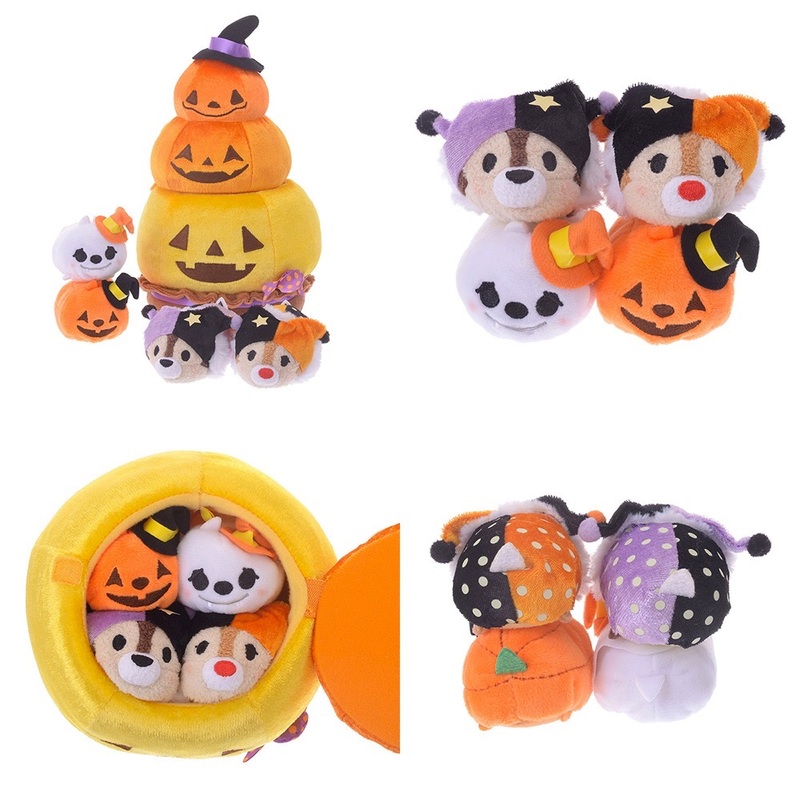 Hong Kong released an exclusive Halloween-themed Duffy Tsum Tsum collection featuring Duffy’s newest friend, Cookie! 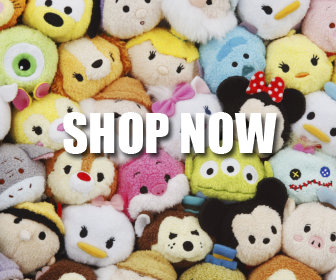 The collection includes Duffy, ShellieMay, StellaLou, Gelatoni, and Cookie in fun costumes! 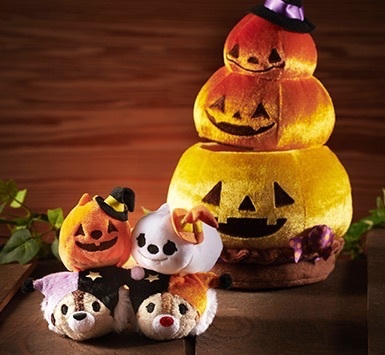 Japan will release a Halloween Tsum Tsum collection on September 1st featuring a Pumpkin Pie set and costumes. 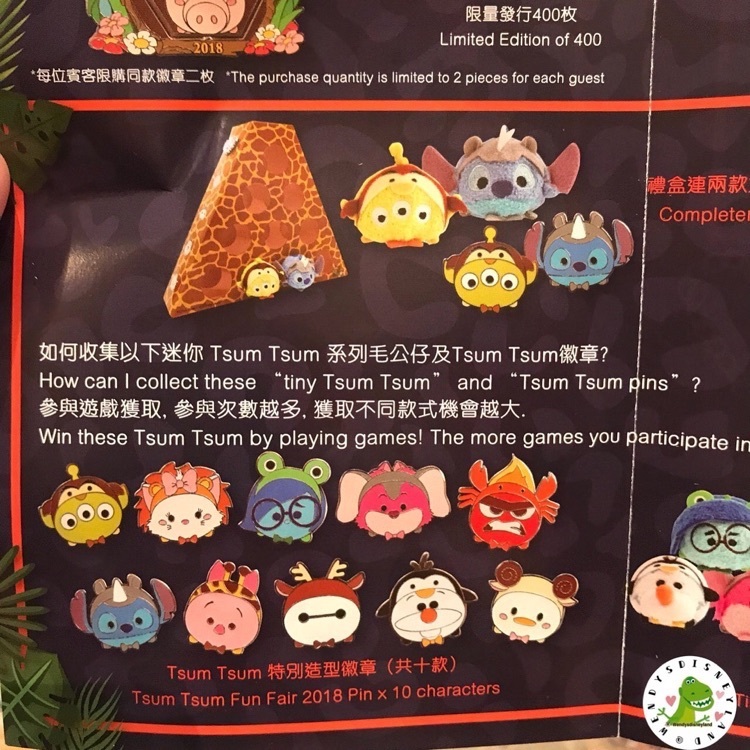 The Pumpkin Pie Tsum Tsum set features a pumpkin pie tower with four mini Tsum Tsums inside. 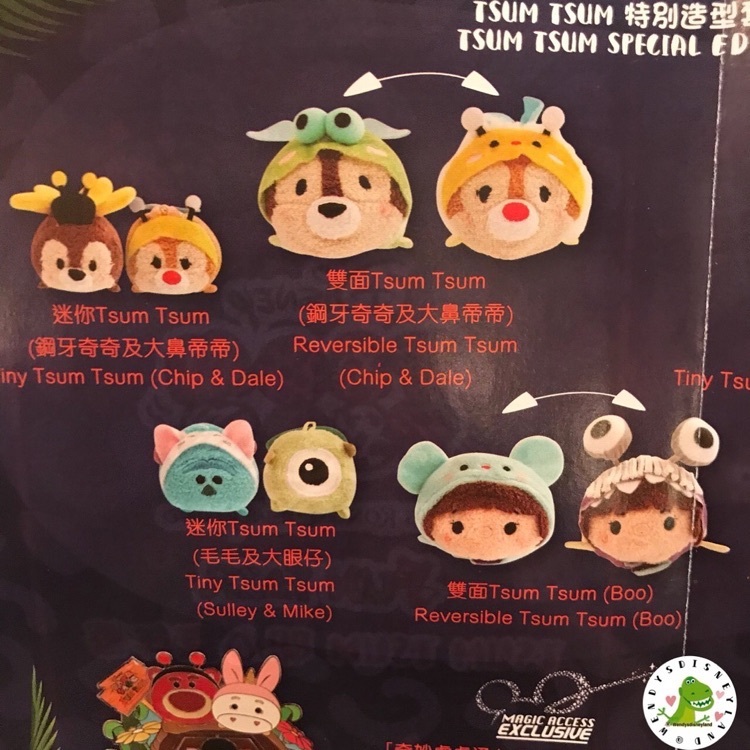 The four Tsum Tsums are Chip (jester), Dale (jester), a ghost, and a pumpkin. It will retail for 4576 JPY (~$40.83). 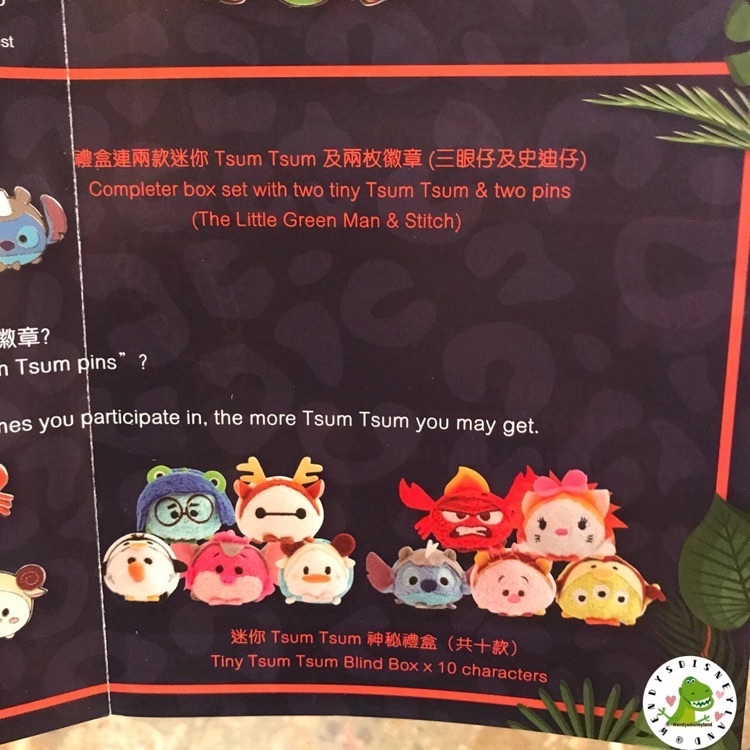 Four new Tsum Tsum costumes will also release which includes a pumpkin, devil, gray cat, and witch outfit. 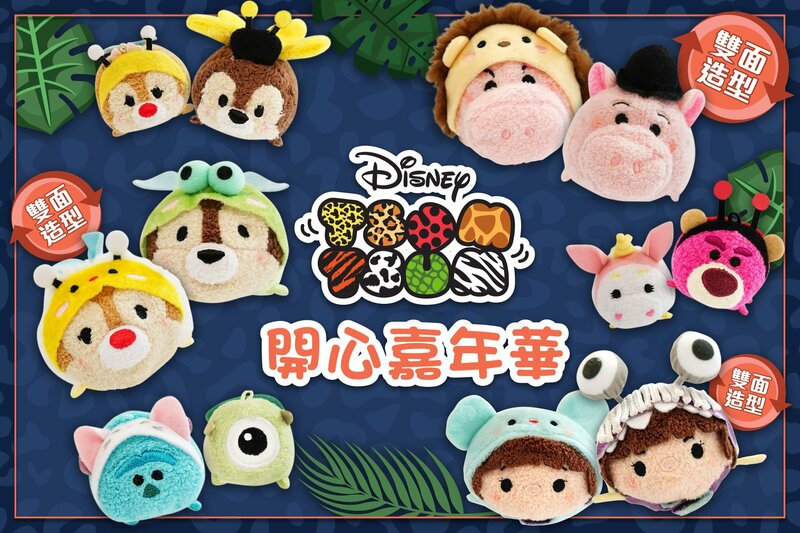 Each will retail for 540 JPY (~$4.86). 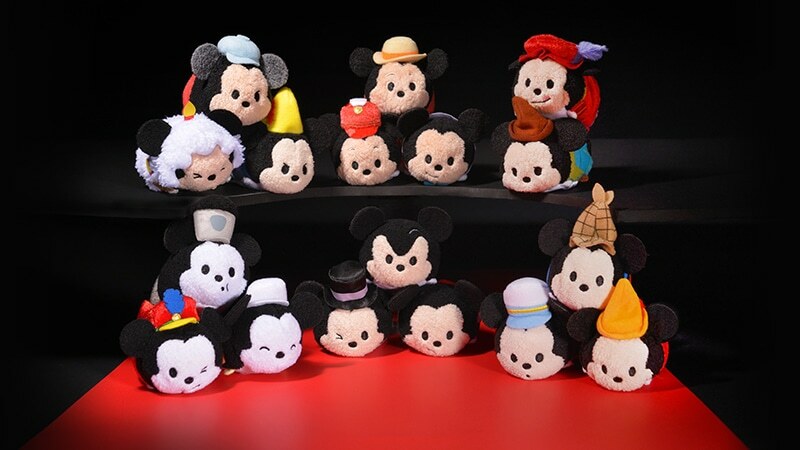 Disney Japan will release a series of Mickey plushes from classic Mickey films each month to celebrate 90 years of Mickey. 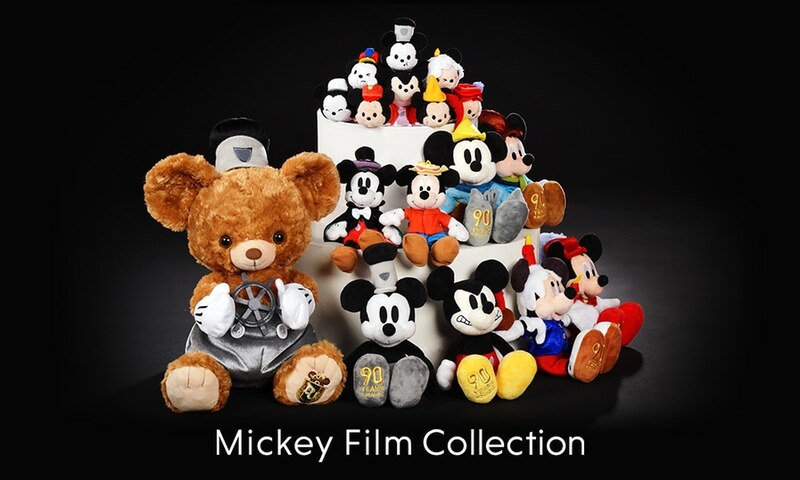 The first set is now available and features Mickey from Steamboat Willie (1928), The Band Concert (1935), and Mickey’s Polo Team (1936). 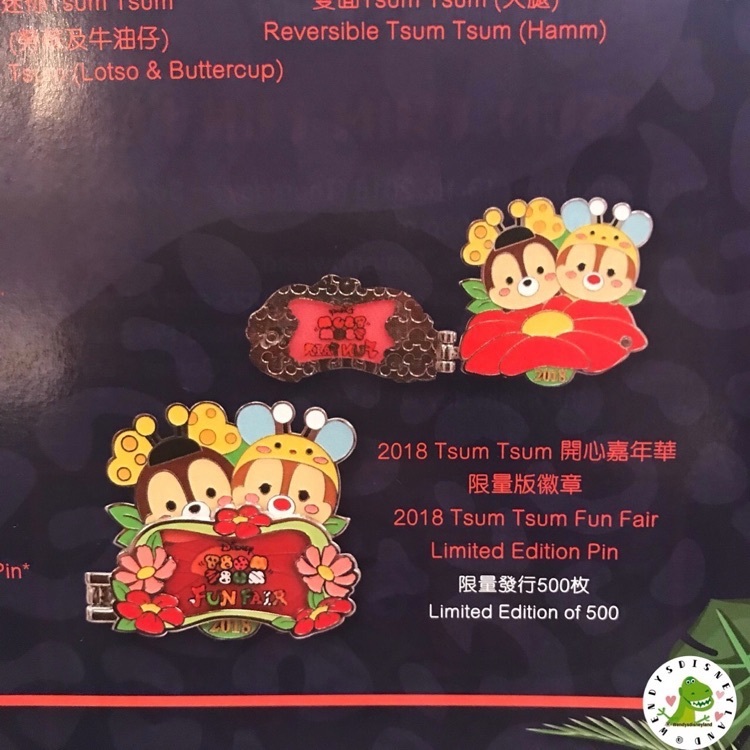 Next month’s release features designs from Mickey’s Rival (1936), Magician Mickey (1937), and Clock Cleaners (1937), and will release on September 19th. The rest of the collection will slowly release each month. 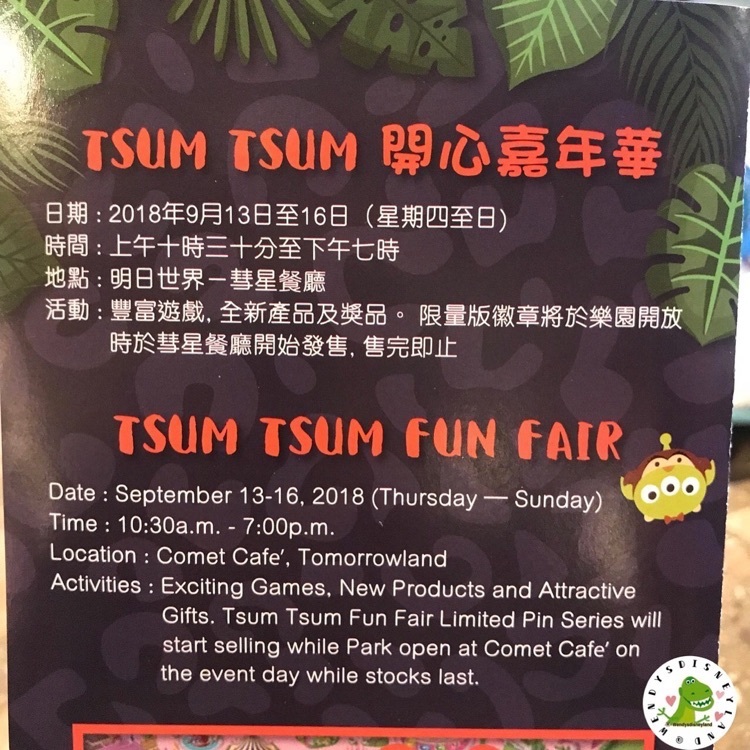 The third annual Tsum Tsum Fun Fair will take place at Hong Kong Disneyland on September 13-16. 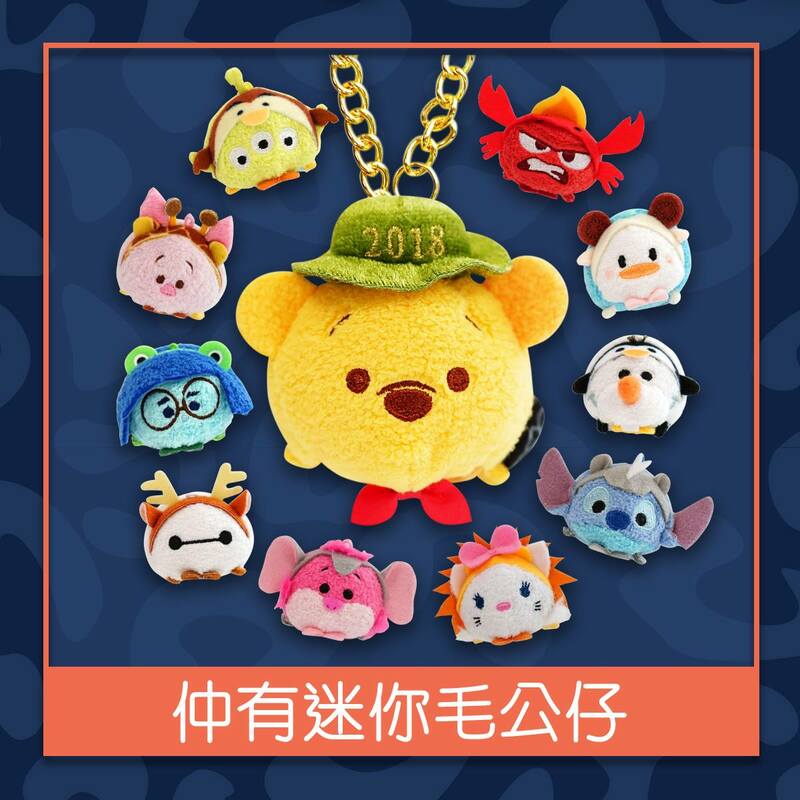 This year’s event will include many exclusive Tsum Tsums, including some reversible Tsum Tsums and a special Winnie the Pooh Tsum Tsum chain. 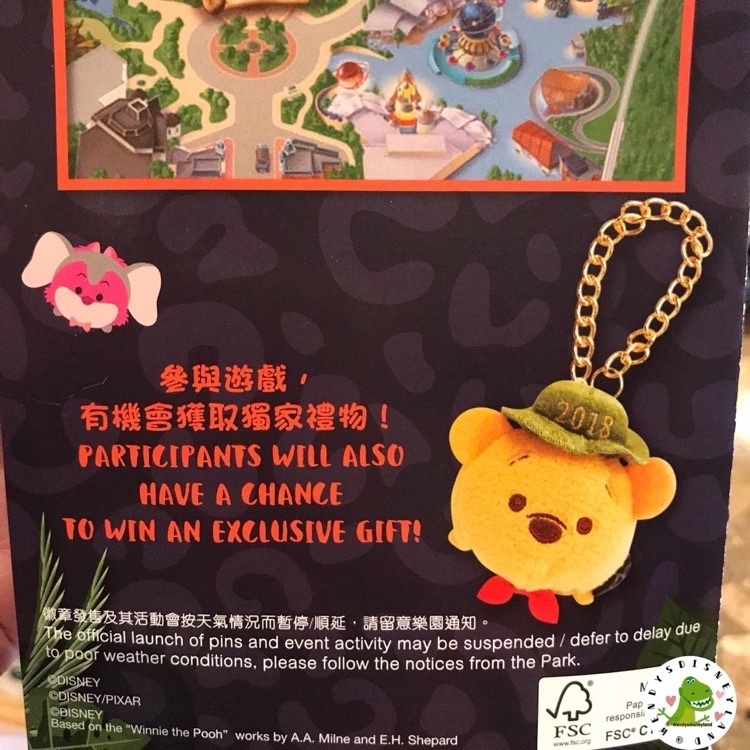 Guests will be able to participate in various games to win these exclusive prizes. 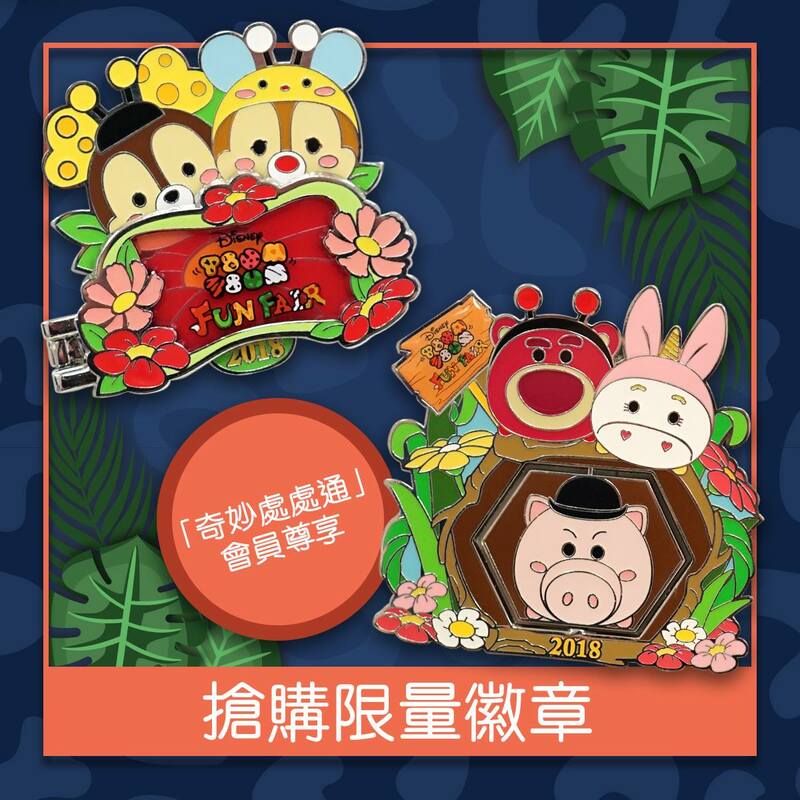 Tsum Tsum Fun Fair will be held at Comet Cafe and Tomorrowland from 10:30AM to 7:00PM on September 13-16. If you’re in the area be sure to check it out! 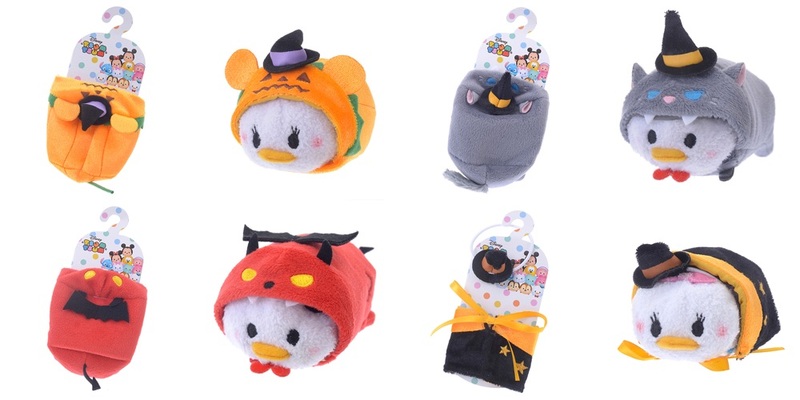 A new reversible Disney Villains Tsum Tsum collection released online today in Europe. 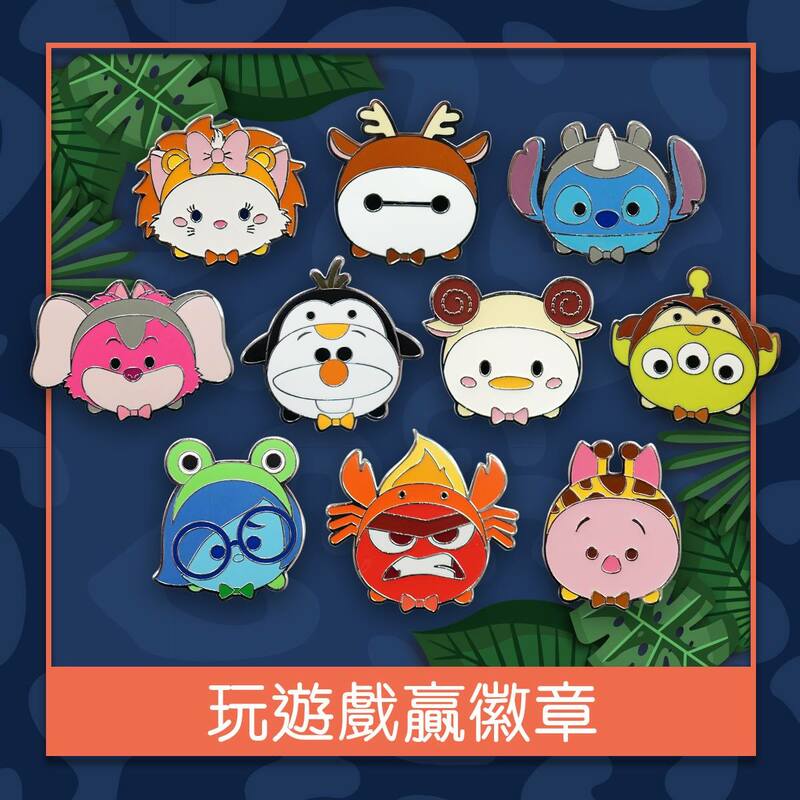 You can turn these mini Tsum Tsums inside out to reveal a new character. Jack Skellington turns into Pumpkin King, Maleficent turns into Maleficent as Dragon, Jafar turns into Jafar as Genie, and The Old Hag turns into The Evil Queen. 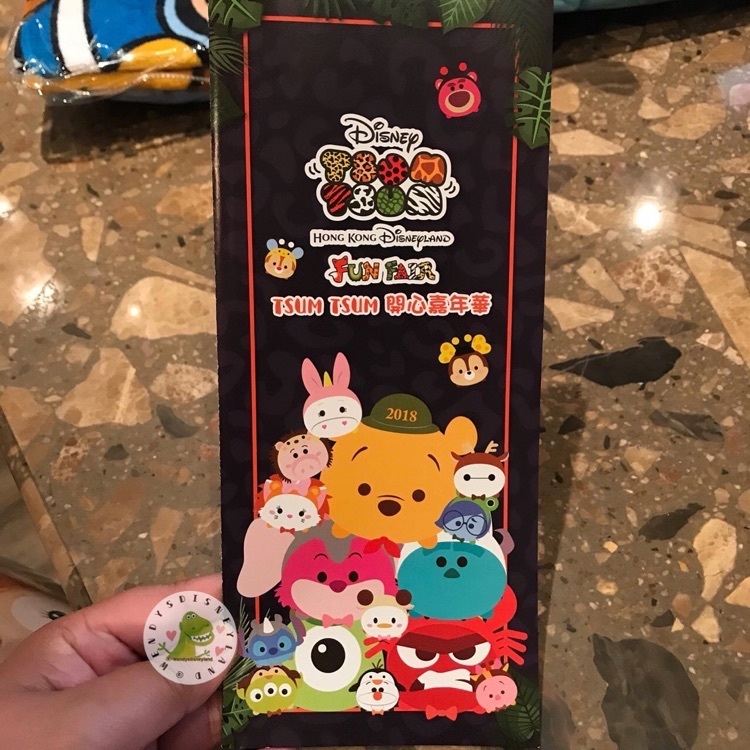 A new Winnie the Pooh & Friends Tree House set is coming to Japan on July 24, 2018. 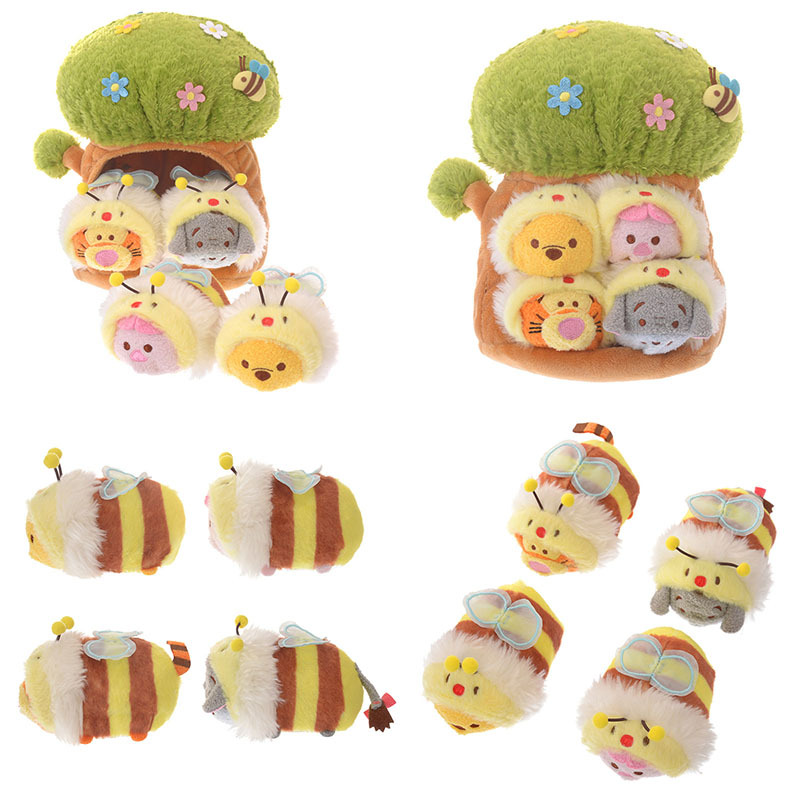 The collection includes four Tsum Tsums (Winnie the Pooh, Piglet, Tigger, and Eeyore) in bumblebee costumes and inside a removable tree house. 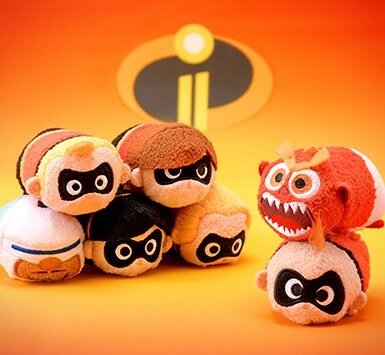 The Incredibles 2 Tsum Tsum collection, that released in the U.S. and Europe, is now available online in Japan. The in store release is scheduled for July 27, 2018. 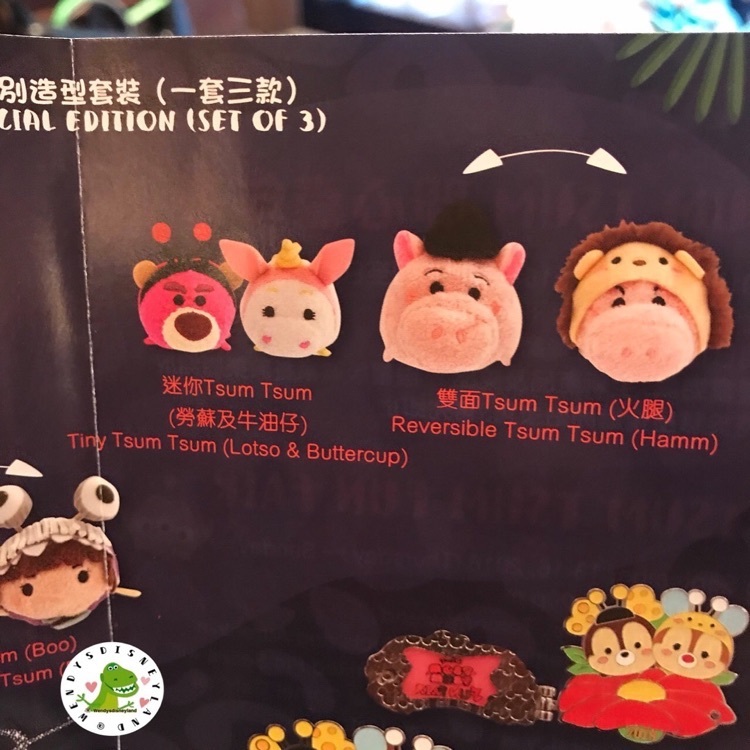 The collection features the same characters, Jack-Jack, Dash, Violet, Mrs. Incredible, Frozone, Mr. Incredible, and Monster Jack-Jack.